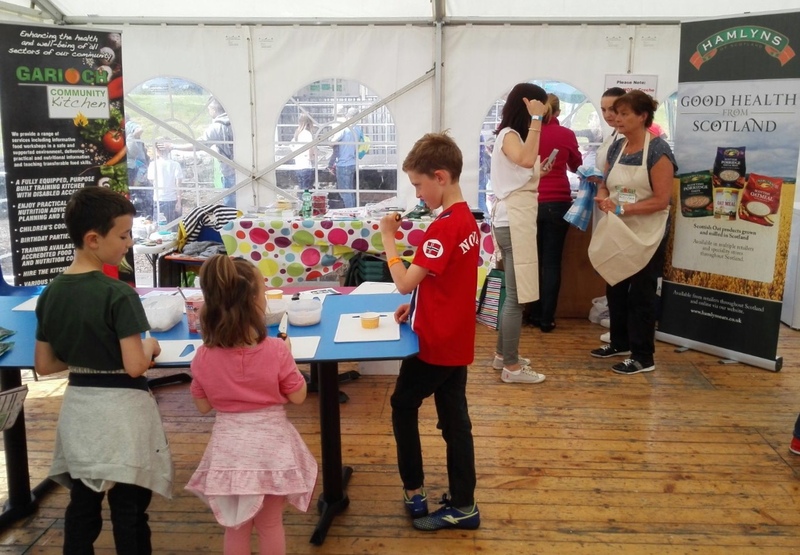 This very simple desert was created by Garioch Community Kitchen as a hands-on kids cookery activity for Taste of Grampian. You can use any fruits that you like, and vary the quantity of each ingredient according to personal taste. Begin by toasting the oats. Sprinkle the oats into a medium hot frying pan and shake around the pan. Watch them carefully. As they begin to turn light brown, take the pan off the heat. The process takes about five minutes. Slice the bananas and chop the strawberries. Layer the oats, fruit and yoghurt in two layers and top with marscapone and a strawberry.